To hear sound from smartphones, stereos, home theater systems, and TVs, you need speakers (even headphones, earphones, and earbuds are just tiny speakers). Speakers generate sound by moving air via a cone, horn, ribbon, or metal screen. However, there are ways to produce sound without the use of traditional speakers. Solid Drive: Designed by MSE, Solid Drive is a technology that produces sound without any visible speakers. The core of Solid Drive is a voice coil/magnet assembly that is encased in a short, sealed, aluminum cylinder (reference photo above). When one end of the cylinder is attached to the speaker terminals of an amplifier or receiver, and the other end is placed flush with drywall, glass, wood, ceramic, laminate, or other compatible surfaces, listenable sound can be produced. The sound quality is on par with a modest speaker system, able to handle up to about 50 watts of power input, with a low-end response of about 80Hz, but with a low high-end drop-off point at about 10kHz. Options Similar to Solid Drive: Other examples of devices similar in concept to MSE's Solid Drive, but more suited to portable use (such as with smartphones and laptop PCs), include the vSound Box. Also, if you are adventurous, you can even make your own. For details, check out the How To Make A "Vibration Speaker" video on YouTube. Today's TVs are getting so thin that trying to squeeze the speaker system into them is getting more difficult. As a possible solution, in 2017, LG Display (an LG sister company), and Sony announced that they had developed technology similar to the Solid Drive concept, that enables an OLED TV screen to produce sound. For marketing purposes, LG Display uses the term "Crystal Sound," while Sony uses the term "Acoustic Surface." This technology employs a thin "exciter" that is placed within an OLED TV panel structure and is connected to the TV's audio amplifier. The exciter then vibrates the TV screen to create sound. Experiencing this tech hands-on, if you touch the screen you can feel the vibrations. However, you cannot see the screen vibrating. The screen vibrations do not affect image quality. Also, since the exciters are located horizontally behind the screen and vertically at the center level of the screen, sounds are more accurately placed in a stereo soundstage. Even though both exciters are vibrating the same OLED panel, the panel/exciter construction is such that the left and right channels are isolated enough to produce a true stereo sound experience if the sound mix includes separate left and right channel cues. The perception of the stereo sound field also depends on the screen size, with larger screens providing more distance between the left and right channel exciters. The exciters can produce mid-range and high frequencies, but they don't do well with lower frequencies needed for full-bodied sound. To compensate for this, an extra-but-compact traditional slim-profile speaker is mounted on the bottom of the TV (so as not to add thickness to the screen) for lower frequencies. Also, lower frequencies would vibrate the screen more aggressively, which, in turn, might make screen vibrations visible, which would affect image quality. On the other hand, the overall Crystal Sound/Acoustic Surface approach is undoubtedly an audio solution for ever-thinner OLED TVs - exclusive of connecting the TV to a more capable soundbar or home theater receiver and speakers. Unfortunately, the LG Display/Sony Crystal Sound/Acoustic Surface TV audio solution, as of this point, is only available on OLED TVs. Since LCD TVs require an added layer of LED edge or backlighting, which adds more structural complexity, implementation of Crystal Sound/Acoustic Surface technology would be more difficult. The Acoustic Surface audio solution is available on Sony OLED TVs. LG is expected to produce Crystal Sound-branded OLED TVs at some point. With the popularity of listening to music on mobile devices, headphones and earphones are a needed accessory to hear that music without disturbing others. However, as mentioned previously, headphones, earphones, and earbuds are very small speakers that either cover your ear or inserted into them. Not only that, but they all, to varying degrees, separate your ears from the rest of the world - great for privacy, but can be a safety issue. However, the speaker technology used in headphones and earphones isn't the only way to deliver sound to your ears. You can also transmit sound to your ears using bone or surface conduction. One company that has come up with this type of solution is Hybra Advance Technology, Inc. Instead of speakers, Hybra Advance Technology employs a system that it labels as Sound Band. This system employs small curved frames that are placed just behind your ear. The frame incorporates a vibrating bar that transmits sound directly to your ear without having to move air. Check out more details, including images, on the development of the Sound Band. The technologies and products profiled above are just some examples of producing sound in a home or mobile entertainment environment without using traditional speakers. This article will be updated periodically with any speaker-less sound technology alternatives that may be significant. 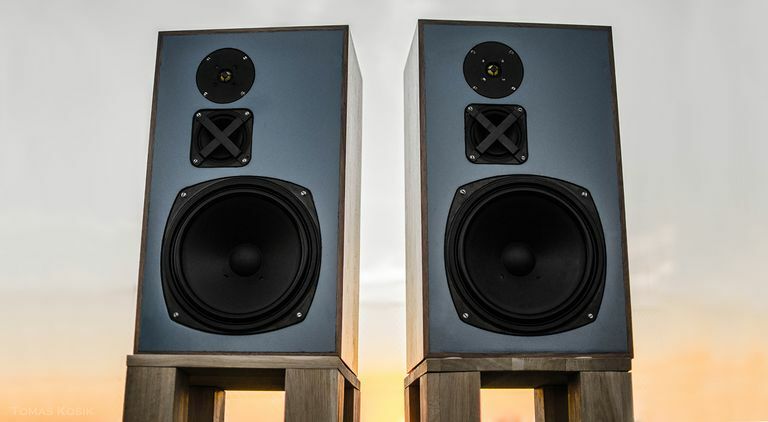 Also, for everything you need to know about traditional speaker technologies, refer to our companion article: Woofers, Tweeters, and Crossovers - The Language of Loudspeakers.